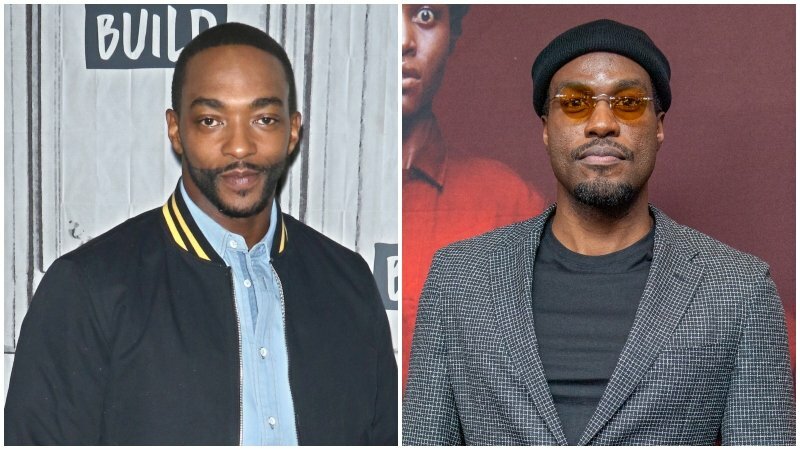 Deadline is reporting that Anthony Mackie and Yahya Abdul-Mateen II have been cast in the upcoming fifth season of Netflix’s Emmy-winning anthology sci-fi series Black Mirror. Mackie was last seen turning to dust in Avengers: Infinity War, but has starred in a number of high-profile projects including The Hate U Give, Detroit, and can next be seen in the second season of Altered Carbon. He will also portray Johnnie Cochran in Taylor Hackford’s Signal Hill. Abdul-Mateen likewise has a slew of big projects on the docket after starring in the superhero hit Aquaman, the Watchmen TV series, the Jordan Peele thriller Us, and the remake of Candyman. Created by Charlie Brooker, Black Mirror is an anthology series that taps into our collective unease with the modern world, with each stand-alone episode a sharp, suspenseful tale exploring themes of contemporary techno-paranoia. Without questioning it, technology has transformed all aspects of our lives; in every home; on every desk; in every palm – a plasma screen; a monitor; a Smartphone – a Black Mirror reflection. The fourth season of Black Mirror premiered on Netflix at the end of 2017 with six all-new episodes and a finale that nearly felt like an ending to the entire series. Black Mirror first aired on BBC before making the transition to Netflix. Its one-off episodes have featured a whole slew of fan-favorite talent in front of the camera including Daniel Kaluuya (Get Out), Toby Kebbell (Dawn of the Planet of the Apes), Jodie Whittaker (Doctor Who), Hayley Atwell (Marvel’s Agent Carter), Domhnall Gleeson (Star Wars: The Last Jedi), Jon Hamm (Mad Men), Bryce Dallas Howard (Jurassic World), and Letitia Wright (Black Panther), plus many notable directors behind the camera including Joe Wright (Darkest Hour), Dan Trachtenberg (10 Cloverfield Lane), John Hillcoat (The Road), Tim Van Patten (Game of Thrones), David Slade (30 Days of Night), and Jodie Foster.